Nanostructured graphene-niobia composite provides a framework for electron transport and tunable pores for the rapid movement of ions. 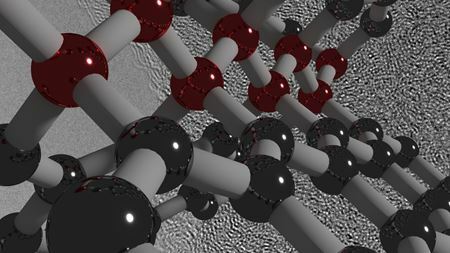 A single study has found that graphene displays superlubricity and that hexagonal boron nitride is as strong as diamond but lighter and more flexible. By sandwiching rare earth metals between layers of graphene, scientists have been able to control its band gap. Adding nanodiamonds to the electrolyte in lithium-ion batteries can help prevent the formation of short-circuiting dendrites. Novel yarns made from carbon nanotubes can generate electricity when they are stretched or twisted.